I’ve been waiting to see the smallest 2500 size of Penn Spinfisher VI for a while now, because whilst the larger 3500 and 4500 sizes that I blogged about a while back are going to get plenty of use this season, I do tend to find myself fishing with a spinning reel around a Shimano 3000 size a bit more than anything else - and I am really pleased to see that this baby of the Penn Spinfisher VI range is essentially the same size as a Shimano 3000. 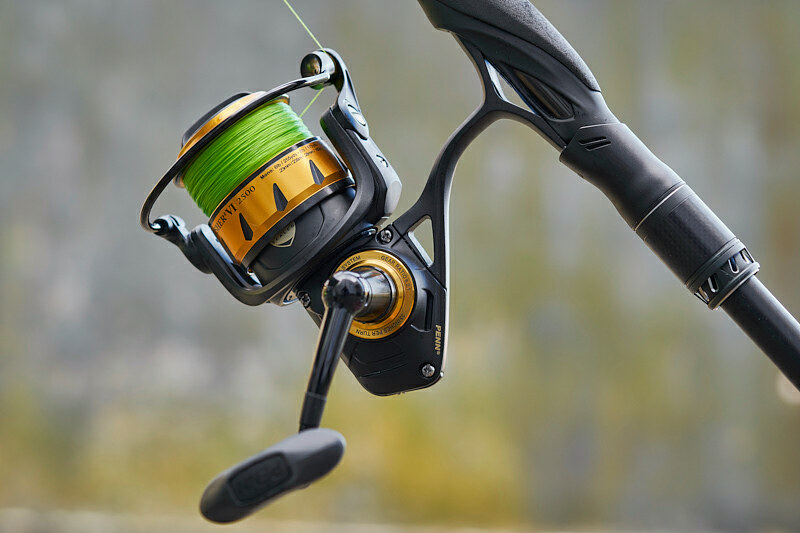 Please note that whilst I am putting some affiliate links in here, in no way am I reviewing this new Penn Spinfisher VI 2500 reel yet (call it a preview!). I am talking about it because I am genuinely excited to fish with this thing, and I will report back in due course with how it’s getting on. If you read this blog then you will know that I have serious issues with shiny fishing tackle, but there is a side of me that really enjoys it when I find an item of fishing tackle that is not high-end and it ends up floating my boat in a big way - as per say the 9’ 7-35g HTO Nebula lure rod (review here) which is still as much lure rod as I can find for the dosh, the amount of spinning reel for the money the Penn Slammer III 3500 is (review here), and then how we can fish with seriously good braids these days for prices that only a few years ago would have been classed as “budget” - and so on and so on. 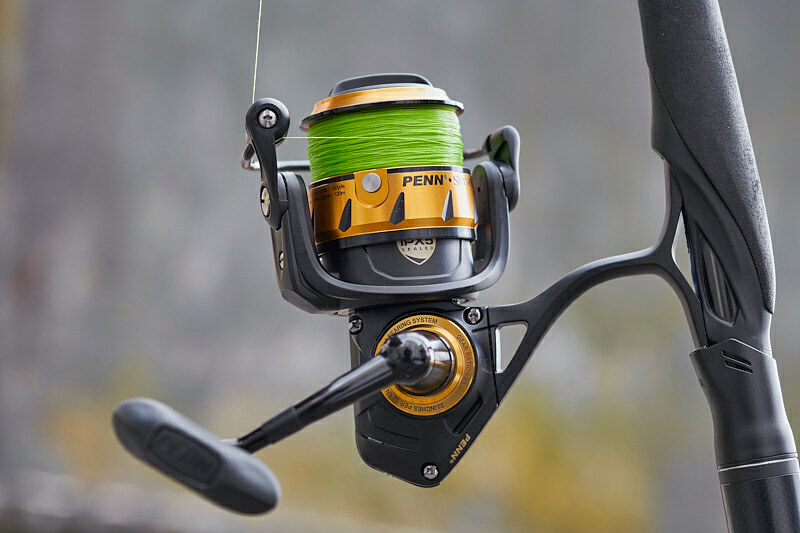 So with how awesome the Penn Slammer III spinning reels are, and how impressive the larger 3500 and 4500 sizes of Penn Spinfisher VI reels have been so far (preview here), I’ve got high hopes for this little 2500 version. A Penn spinning reel in the 3500 size tends to be around the same size as a Shimano 4000, and as much as I do lure fish with a reel around this size, I blame the ridiculously special Shimano Exsence Infinity S906M/RF 9’6’’ 6-38g lure rod for me starting to fish with a smaller reel than I previously would have on certain 9’6’’ rods which are so light and responsive they seem to feel that bit better in my hands when paired with a smaller reel (I put the sublime Tailwalk EGinn 96ML-R 9'6'' Max 35g lure rod in this category as well, review here). I have used the heavier Penn Slammer III 3500 reel (403g loaded with line) on both these incredible lure rods and after a while all feels surprisingly good, but I can’t get away from how perfect my beloved little Shimano Twin Power XD C3000HG spinning reel feels on both those rods. Hence me being so interested to see firstly how big (or small) this Penn Spinfisher VI 2500 reel was, and secondly whether it would sit nicely on those two rods I mentioned above - which it does, indeed it’s perversely satisfying to stick a “budget” spinning reel on the decidedly “non-budget” Shimano rod especially, plus have it feel like such a good combination. Okay, so at 317g when loaded with line this baby Penn Spinfisher VI 2500 is a bit heavier than my Shimano Twin Power XD C3000HG (250g loaded with line), but as per usual it seems that these figures are kinda meaningless when you take the gear out fishing. And yes, I took this new Penn Spinfisher VI 2500 out fishing early yesterday morning and landed my first and not very big bass of the season on a white senko while it was still dark - yippee! It’s not as if the reel was under any stress at all with the size of the bass I caught, but it was interesting to fish with the Penn Spinfisher VI 2500 for the first time when it was dark, because a few casts into the session and bearing in mind I can’t really see the reel, the Penn felt about as good as any spinning reel I can recall fishing with. So could just north of £100 for the Penn Spinfisher VI 2500 end up being a serious bargain? Time will tell, but first impressions are very, very positive. It’s just the right size for the rods I wanted to use it on, it feels incredibly solid, it’s lovely and smooth albeit a little “tighter” on the retrieve than a typical Shimano or Daiwa, the drag feels great but to be honest I’m not really bothered for our bass fishing (it’s much easier to pull line off on the lightest setting, unlike on the Penn Slammer III which again bothers me not one bit with how I fish), the line lay is good although I had to add one of the supplied thin washers to even it out (instructions and extra washers are in the box), I like how out of the factory there’s plenty of that really good blue Penn Precision Reel Grease where it needs to be (the only reel grease I use these days, if it’s good enough for Penn reels then it’s good enough for me), and one session in with the handle and it feels just right. And because this is not actually my reel - some kind people at Pure Fishing sent it to me for a play - I can do exactly what I want with it and worry not one bit. I am going to be realistic and look after it as I would my own spinning reels - hosed down with freshwater after use and oiled/greased as required (loving that easy to apply Penn Precision Reel Oil as well, using it in all my spinning reels now), but I am going to enjoy testing out how well sealed this Penn Spinfisher VI 2500 actually is by not being remotely worried to use my lure rod as a wading stick when required, and if “by mistake” the reel takes various dunkings when out fishing, then so what? I am genuinely excited to properly fish and fish with this Penn Spinfisher VI 2500 and see if it might be as good as the specs suggest. I am still gutted that I could not get that waterproof Van Staal VR50 to work properly for me, and whilst this Penn Spinfisher VI 2500 is not 100% waterproof (it’s IPX5 sealed, but as per the video below at timecode 13:40, the bloke reckons it’s just as well sealed as the IPX6 Penn Slammer III), I could in fact buy three of these Penn Spinfisher VI 2500 spinning reels for what I paid for that Van Staal VR50. I’ll report back in due course……..
You can find full details on all the fishing tackle I use or have used here, together with all the relevant links to my numerous blog reviews.